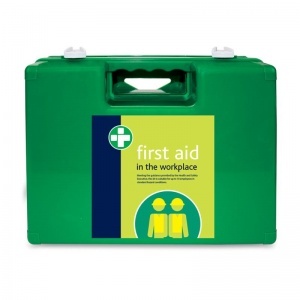 When it comes to health and safety, you can't afford to take any risks. 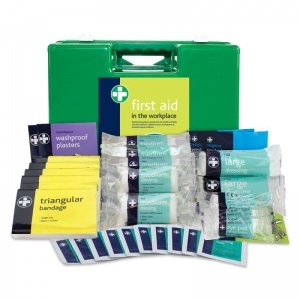 The Basic HSE Workplace First Aid Kit in Executive Box provides you with robust materials including the necessary first aid items you need according to the risk level at your workplace. The kit comes in a tough and robust green Milano box to keep your materials safe, and features movable, shatter-proof internal dividers, integral handles and a wall mounting bracket. 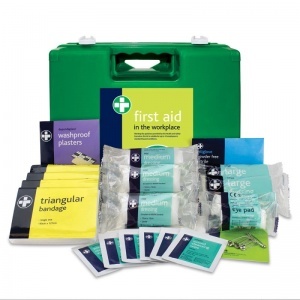 The materials in the kit are up to standard according to the Approved Code of Practice 1997. 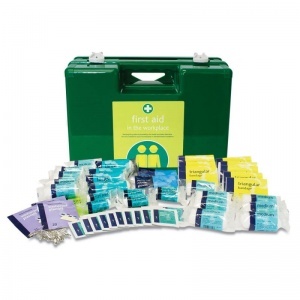 The Basic HSE Workplace First Aid Kit in Executive Box is usually dispatched via First Class Royal Mail and delivery should be within 1 to 3 working days.